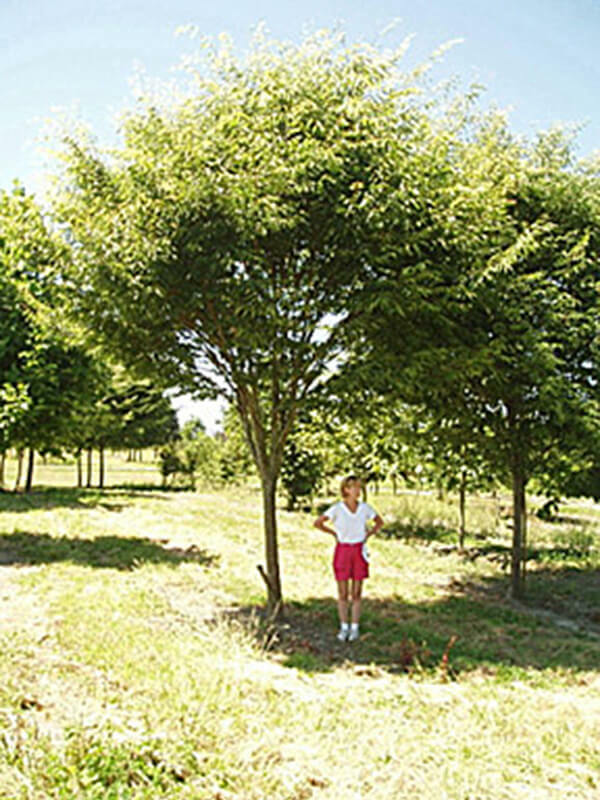 The Zelkova is a lovely landscape specimen or shade tree. It has a unique leaf and canopy shape. The leaves of the Zelkova are similar to elm leaves. The Zelkova is a good substitute for Elms since the Zelkova is not susceptible to Dutch elm disease.